Popular for mixing open and closed head containers from 5 to 55 gallons (18.9 to 208.2 liters). Can also be used to mix mortar, drywall compound and similar materials in 5-gallon (18.9 liter) containers. 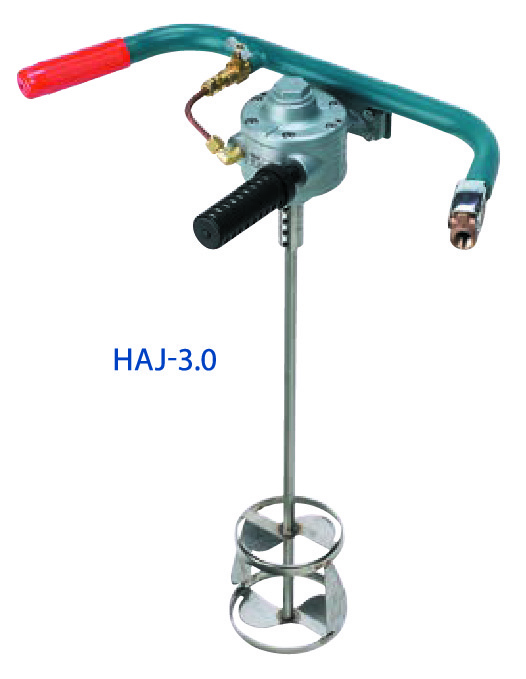 Air control valve allows easy speed adjustment. Low speed mixing and stalling will not overheat as with an electric motor. Optional “deadman” trigger on right handle allows mixer to be started and stopped conveniently while maintaining grip with two hands. Specify Part Number 004646.